If your eyebrows or eyelashes are sparser or have disappeared altogether, follow our tips on framing your 'windows to the world'. As we grow older our skin tone fades and so does the colour of our eyebrows – in fact, sometimes they almost seem to disappear into the skin. Although we no longer have to spend a lot of time with tweezers plucking and shaping our brows we do need to spend extra time defining them – but that doesn’t mean making the big mistake of taking a black brow pencil and making them really dark – the shade they were in our 20s. Eyebrows are an important feature as they frame our face, so when brows start disappearing it's really time to think about doing something positive. Grooming our brows makes a huge difference to how we look – even if we do nothing else but apply a slick of lip colour. There are a number of choices available to enhance our brows, one is permanent eyebrows. This works like a tattoo action and can look good – but remember you are stuck with the shade, and the shape, and it is very expensive. Another option is a salon brow tint which will last around six weeks maximum before it fades. This takes around 15 minutes and costs from around £10 depending on the salon - but you'll also need a brow shape which usually costs extra. Brow tints are great for holidays and special occasions but an expensive way to maintain the brow colour all year round. The best way of brow defining is to learn some DIY techniques. Use a brow pencil to fill in the sparse areas and a powder shadow to add colour and definition. There are quite a few brow definition kits on the beauty counters to suit all budgets. To choose your colours you should go by your hair colour and keep away from black. You may have to do a few practice runs but once you get the knack it's quite easy. Ideally your brows should extend the full width of your eye makeup, peaking softly over the pupil’s outside edge. First of all, brush brows straight up. Pluck only stragglers. Fill in sparse brows with pencil. Brush back into place and set with brow gel. Brush brow-shaping powder against the hair grain to lay-in colour. Then brush brows back into shape. Creating the illusion of an eyebrow for those who have lost their eyebrows through illness or chemotherapy can also be simple. Chose a shade of pencil or powder shadow that matches the colour of your wig or compliments your eyes. Be careful not to go too dark – slate, sable and mahogany are better choices than black. Take the powder on an eyebrow brush and stamp it bit by bit (don’t brush it on) into your skin where your natural brow would be. Even if there is no brow there you can see where the brow was and just follow that arch. As brows get finer so do eyelashes but thankfully there's lot of help at hand. Semi-permanent eyelashes may seem a good option – but like false nails they need regular maintenance. Application, which takes around an hour, can cost from between £80 to £150 and they give a maximum wear time of up to two months – but that's dependent on the individual wearer – for some people, like nails, it can be much less. And if your are heavy handed, like me, you will be prone to losing the odd one! For a more temporary option there are re-usable strip lashes, which, if applied correctly, will last a few days and cost from around £5 to £20 and upwards, depending on the brand. 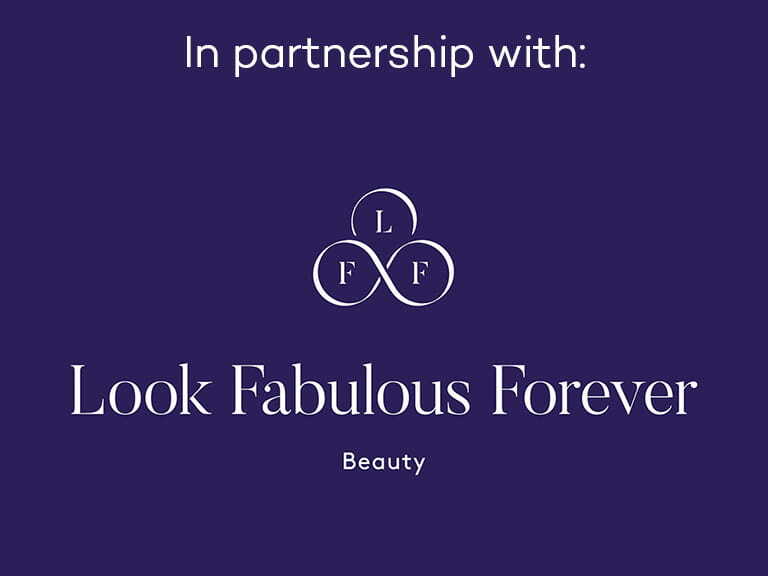 The hottest news from the beauty counters are lash enhancing serums which work by nourishing and rejuvenating the eyelash follicles to stimulate hair growth. Again regular use of the serum is recommended and serums cost around £80. Mascara is the best option for thickening the lashes but if you use an special undercoat first then it really does give a boost to the lashes and they accept the colour better. Apply your mascara from the base of the lashes to the tip, applying to the underside of top lashes and the topside of bottom lashes. Apply two or three coats allowing the mascara to dry before reapplying the next coat. Again, if you have lost your eyelashes completely, false eyelashes are a good option for special occasions but not for everyday. An easy technique for faking the appearance of lashes is to take an eyeliner brush, either wet or dry, and dip it into dark brown, gray or charcoal shadow; and stamp it into the lash line. 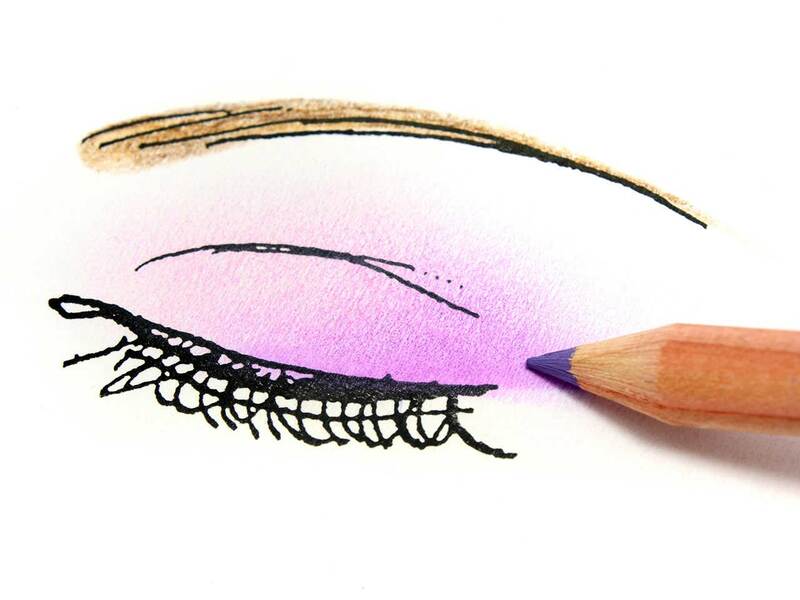 Using a dark colour shadow helps create the illusion of hair being there, so it looks like more than just an eyeliner.